When it comes to makeup, I go through phases where I get obsessed with a colour, formula, product or combination of these. 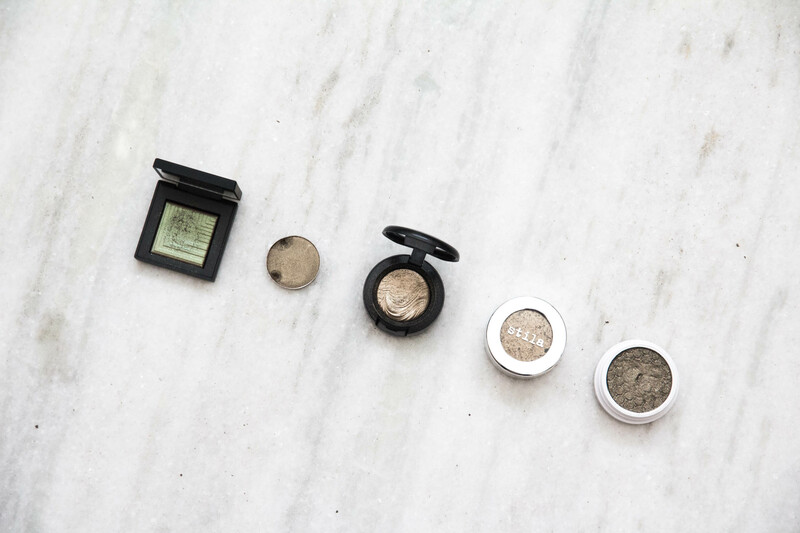 For the later half of 2015, it was all about olive/khaki/bronze eyeshadows. While my bank account is slightly damaged, you are in for a treat if this is your colour. Also, the line between blackened gold and olive is very thin and you’ll see a variation of these. I could recognize the symptoms very well. Somehow I would end up watching tutorials or reading posts just about this colour. Wishlists grew in size and I had dreams where I was buying makeup! (Those are the best kind). Something needed to be done! So I hit up all my favourite bloggers for recommendations and viewed all possible swatches. 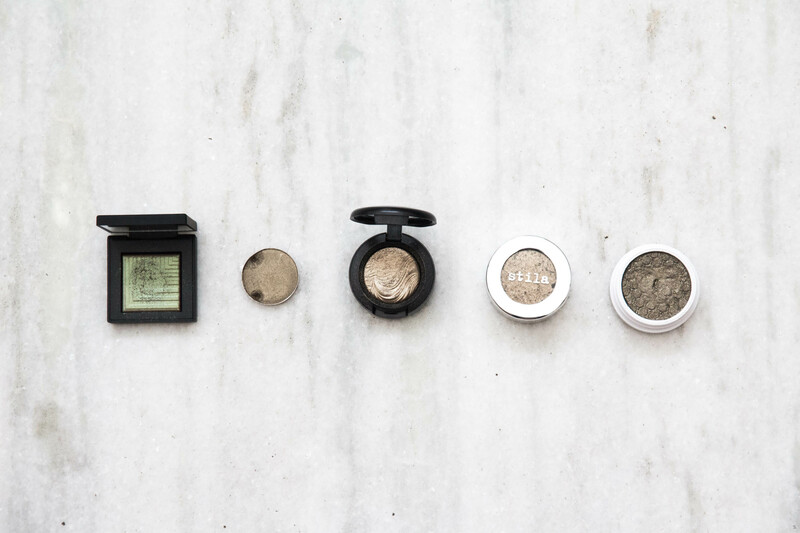 I now have five eyeshadows that have (mostly) won me over. Also, writing this post has given me insight into how I rationalize purchases. It’s terribly self indulgent but hopefully it will lead to better (and less expensive) decision making in the future. So how did this all start? The usual suspect is YouTube. It was this tutorial by KaushalBeauty that lit the spark and made me go, ‘Oooooh, this colour looks amazing. Why don’t I have it?’. 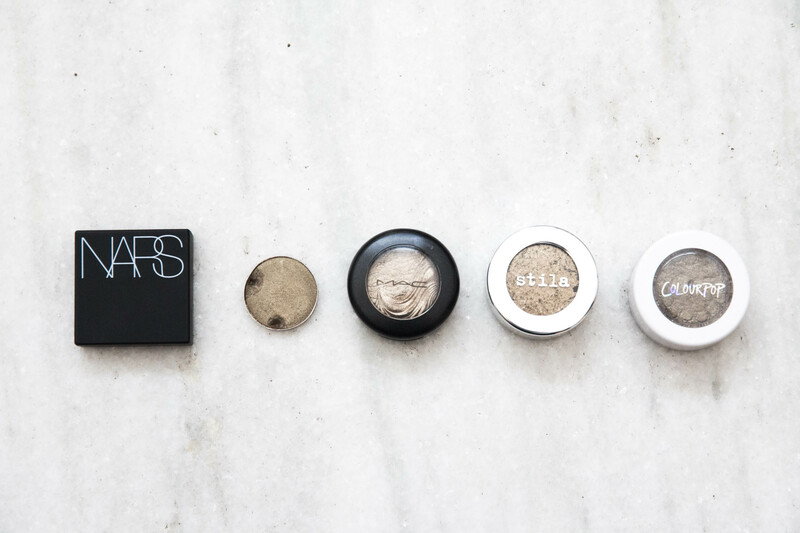 So all along what I really wanted was Stila’s Foil Eyeshadow in Vintage Black Gold. I thought this is easy! I went to BeautyBay, out of stock. My local Sephora, they don’t carry this product. It was even sold out on US Sephora and Nordstrom. So I decided to move on but it was always in the back of my mind. Don’t worry, it all ends well! My first purchase was Mac Extra Dimension Eyeshadow in Sea Worship. I had gone in for a simple no-cost Back 2 Mac purchase but my Mac SA knows me well and literally just took my arm and swatched this. How did she know it’s the colour I was looking for? It’s so pigmented and the shade is that perfect olive gold mix. Sold! My favourite way to wear this is with a black eyeshadow (from my Lorac Pro) on the outer corner and black winged liner. It’s definitely more of a night time look. 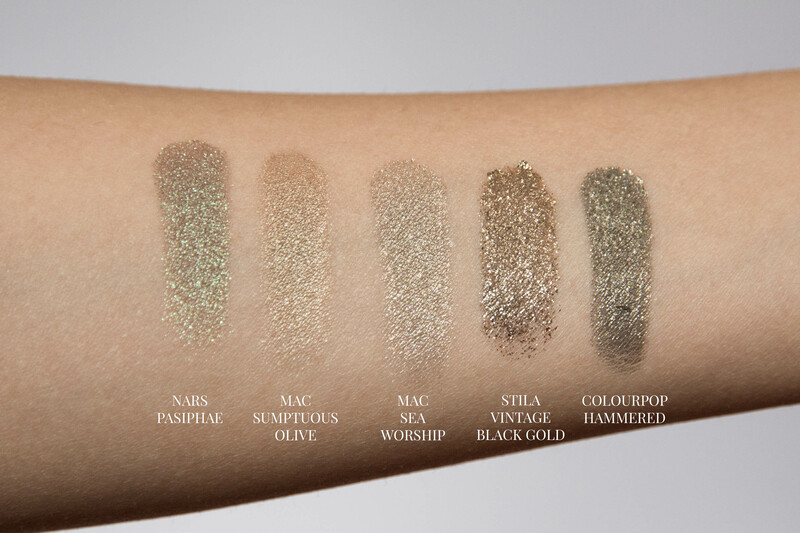 Compared to the regular Mac eyeshadows, these are more pearlescent and have more shine. Couple of months later I picked up Mac Sumptuous Olive. I remember swatching this a couple of times before but it was always sold out. This is definitely more olive with a darker brown base and slightly duochrome. It’s earthy and hence I feel it looks better with darker browns. Again, the pigmentation and staying powder is as good as it gets for Mac. I wasn’t enticed with the Dual Intensity formulas when they came out but I was completely taken with the well timed release of Pasiphae. So glad it’s a permanent shade now! My initial thoughts about it being too similar to Mac Club or Blue Brown were put to rest when I saw a zillion swatches, it was definitely more green. In person, this eyeshadow is even better! Nars Dual Intensity Eyeshadow in Pasiphae has a red brown base with a bright green duochrome shift. As amazing as this looks when applied wet, I feel it’s a bit too green that way and I personally prefer wearing this as a sheer layer. The brown base keeps it slightly neutral and as the light hits it right, you get that pop of green. It’s my go to lazy duochrome look. I have no complaints about the formula either, it’s pigmented and long wearing. It’s a bit expensive for what it is though, I wouldn’t really go out and buy any other shades in this range. Months later, Stila Magnificent Metals Foil Finish Eyeshadow in Vintage Black Gold was back in stock at Nordstrom and I got it shipped to my hotel! At $32 it’s very expensive but it comes with a liquid primer and mixing palette. Also, this eyeshadow is basically pressed chunky glitter which really gives a more intense foil and sparkly look compared to pigments. I wore this on NYE and on my birthday, it’s definitely one for special occasions when you want to go all out! You have to be careful using this as there can be some fallout. I like applying it in a patting motion with my finger over a cream eyeshadow which works well. I had come full circle but before I bought Stila, I had already placed a Colourpop order. Colourpop Eyeshadow in Hammered has a very odd texture when it comes to eyeshadows. First off you notice the excessively bulky packaging, the actual eyeshadow quantity is much less. It’s also very squishy! The colour payoff is amazing though! Very opaque and even but only when you apply it with fingers. I love how shimmery it is but I do feel like the base is a little too black and it can look muddy and dull on the eyes. 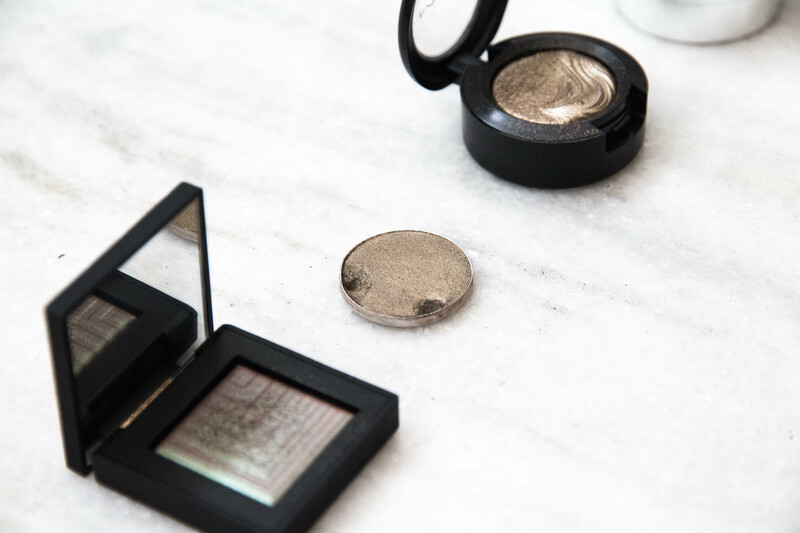 These eyeshadows are great for a pop of colour or halo effect when applied with fingers but they don’t really blend well with other powder eyeshadows. The colours I picked out are all bright shades so it’s not a problem but I don’t think I would like any of the neutral shades unless I was wearing them alone. So yea, I’m a bit underwhelmed with Colourpop eyeshadows and this shade. All swatches above are dry with one swipe! 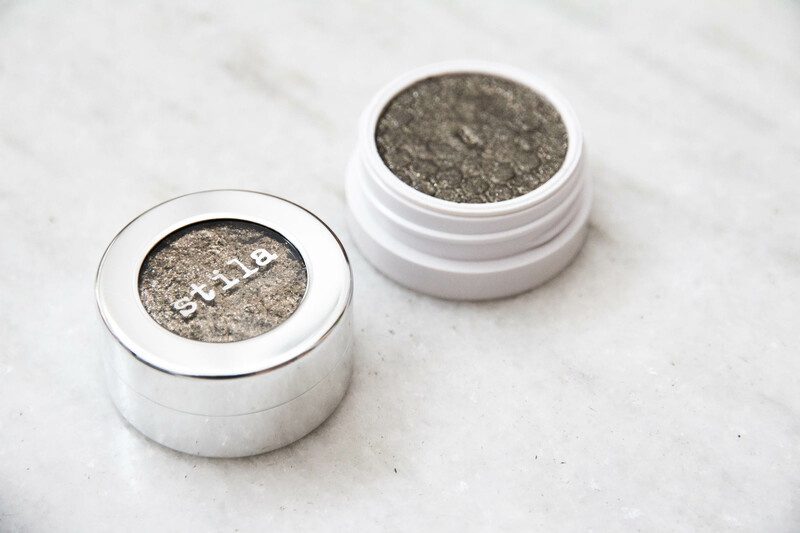 You can see just how intense Stila is, it makes the Mac eyeshadows look average, which they aren’t! So yea, my olive eyeshadow obsession is done with and I’m grateful that I managed to stay away from a couple of Giorgio Armani Eyes To Kill Eyeshadows! They were always in consideration. What I love best about this colour is that it’s very close to a neutral. It’s not a cobalt blue or purple which will overshadow rest of the makeup. If you’re someone who always wears neutral colours, you might find this a good addition within your comfort zone. Let me know some of your favourite olive eyeshadows!